On Nov. 21, Pop Pistol will be playing at Limelight. The setlist? The entirety of their first official album Angelus. Pop Pistol released Angelus in 2008, but the project’s roots stretch beyond that. Frontman Alex Scheel, bassist George Garza and drummer Jorge Gonzalez started playing together when they were in high school and don’t think they’ve changed that much. The band started recording music for the album two years before its release in 2008. They decided to save up to go to a professional studio. Pop Pistol has been playing for more than 13 years. This month, they’re celebrating the 10th anniversary of their first official album, Angelus. Photo taken by Daniela Riojas. The music scene in San Antonio has radically changed since the release of Angelus, but that hasn’t affected Pop Pistol much. 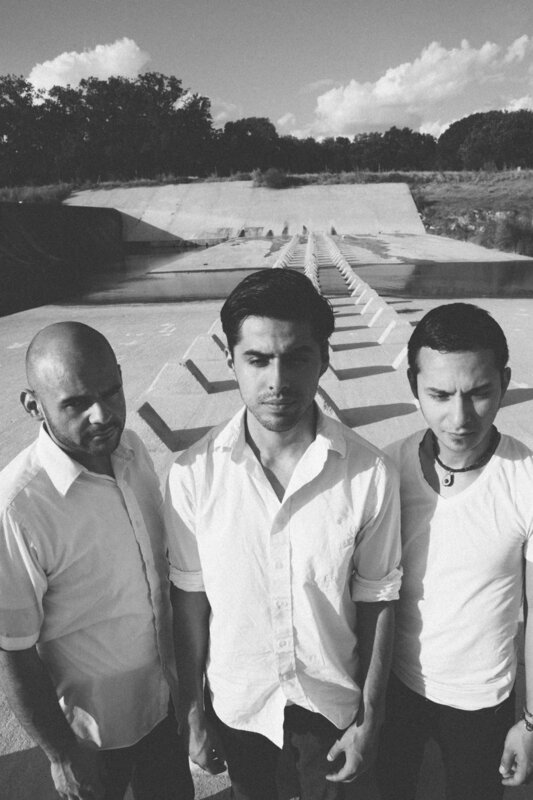 Pop Pistol hasn’t technically been representative of the change in music in San Antonio, but it’s because of that that they are emblematic of the scene. Alex said they’re like mushrooms. The band never went on an official hiatus and has played multiple shows even though they haven’t released an album since 2014. For George, this infrequency of playing is nice because it makes the reception of their music more intense. George explained that there are many gigs that the band discusses and decides not to take on because of other conflicts. The difference with this show, as opposed to other potential shows, is that the band decided they wanted to do it, so they focused and made a plan. The show has been in the works since the springtime. The members of Pop Pistol all currently collaborate with other projects — Alex with Femina-X, Jorge with Pochos Chidos, George with Foreign Arm, among others — and so they work to balance these other obligations. Part of the Pop Pistol atmosphere is how comfortable the bandmates are with one another, which makes sense since they’ve been playing together since the ages of fifteen or sixteen. Frontman Alex Scheel and bassist George Garza talked about how much the scene has changed over the past decade and how they have become better musicians because of it. For the first time, Pop Pistol will be playing the album front to back, exactly as it was recorded. Alex said that, listening to the album now, he appreciates the naivety of the songs and that he appreciates the confidence he gained in the process of creating it and future albums. George agreed and added that they want Pop Pistol has a kind of symbiotic relationship with other bands in the scene. Ten years is a long time, but luckily, the band has been creating and progressing as musicians the entire time. For them, the past decade has been filled with trials and errors that have pushed them to be better. When asked what they would tell their ten-years-ago selves, Alex answered promptly. “And don’t hate your baselines,” George added. Before you attend the celebration, check out Pop Pistol’s Bandcamp, where you can find Angelus as well as the rest of their produced work. Angelus is available to download for free on Bandcamp.